Can tickets be purchased from agencies and websites that are not an Official GC2018 Ticket Sales Channel? No. Any tickets obtained from unofficial agencies or websites will be deemed invalid, tickets will not be refunded and entrance to the venue will be prohibited. For a full list of Official GC2018 Ticket Sales Channels please visit ' How To Buy'. How do I know the ticket I am purchasing is through an official sales channel? It is important to only buy GC2018 tickets through official sales channels. Do not trust search engine results and make sure you sign up to the official GC2018 Newsletter to keep up-to-date with the latest news. If you are unsure, please check ' How To Buy' for a list of Official GC2018 Ticket Sales Channels. Tickets are on sale now and will be on sale right through to the end of the Games. Can I buy them at the venue? GOLDOC recommends that you purchase your tickets ahead of each event. There is no guarantee that tickets will be available at each venue ticket box office. Make sure to Buy Official! The Main Ticket Box Office in Victoria Park and Broadbeach will open 14 March 2018. What does a ticket provide access to? A ticket will provide you with access to a GC2018 ceremony or sport session. Sessions are defined as an individual sporting event, or group of individual sporting events, held in close timing to each other at one specific venue, whereby one ticket per person is sold to cover attendance. Sessions for each sport are identified in the Competition Event Schedule and can be found at gc2018.com/tickets. Do you offer concession tickets for children? Yes. Children aged 16 and under as at 4 April 2018 are eligible for half price tickets where available. Visit gc2018/tickets to view the full list of ticket prices. Do I need to purchase a ticket for my baby? Infants under 2 years of age as at 4 April 2018, are granted free entry to GC2018 ceremonies and sports sessions providing they enter with, and sit on the lap of, an adult parent or guardian who possess a valid ticket. Infants cannot occupy a seat of their own and only one infant may enter with one Adult. Yes. Please refer to the Competition Event Schedule at gc2018.com/tickets for ticket limits per session within a sport or ceremony. Refund or exchange of tickets is only applicable if the event is cancelled, rescheduled or relocated and you cannot or do not wish to attend the rescheduled or relocated event. Yes, please visit the official GC2018 Fan Marketplace. Please read the Ticket Terms and Conditions carefully to understand your rights and obligations. Can I use tickets to promote or market my business or as prizes in a raffle, competition, contest or sweepstake for my charity, club or business? Tickets must not, without GOLDOC’s prior written consent, be transferred, used or otherwise disposed of for any commercial purpose or for any marketing or promotional purpose, whether or not for commercial gain (including in connection with any competition, advertisement, promotion, auction or sweepstake or as part of any hospitality or travel package). I want to purchase tickets to see my country compete. When will I know who is competing in the team sports? The draws for the Netball, Basketball, Beach Volleyball and Hockey competitions have already been completed. The remaining draws for team sports cannot take place until the necessary qualifying events are complete and teams have accepted their invitations to compete at GC2018. As with all major events, the quarter-finals, semi-finals and finals of any team sport will be the tickets in the highest demand and will sell first. To keep up to date with all of the most recent team draw information, please visit GC2018 The Sport. Can I purchase tickets using my mobile device? Yes. Navigate to gc2018.com/tickets a in your mobile browser to purchase tickets. GC2018 Tickets are being distributed. Will my tickets come all together? If you have selected Print-At-Home and have bought more than one session or sport, you will receive an email per session that you have purchased. If you have selected mail as your ticket delivery method and your ticket/s were purchased in one order, you will receive one envelope. If you have selected mail as your ticket delivery method and your ticket/s were purchased in multiple orders, you may receive more than one envelope. If you have selected multiple delivery options, you may receive your tickets at different times. Please refer to the delivery method guidelines above. Can I check which ticket delivery method I selected? Can I use my Print-At-Home ticket on my mobile to enter the venue? No, please make sure to use a printer and bring the Print-At-Home paper ticket. Does the ticket cover public transport to venues? The advertised ticket price includes free public transport on event day within the South East Queensland TransLink public transport network, the Cairns TransLink bus network and on the Townsville qconnect bus network when a valid event ticket is presented. What can I bring into the venues? For the comfort and safety of all patrons, there will be restrictions on what can be brought into venues. Specific venue entry conditions which govern what spectators can bring into each venue are available online at gc2018.com. We encourage all spectators to read the venue conditions carefully before attending GC2018 to help enhance your Games experience. Yes, there are four events that will be free to the public: Cycling - Road Race, Cycling - Time Trial, Marathon and Race Walk. You do not require a ticket to attend these events. Simply visit your GC2018 Account and sign in using your current username (the email address you have registered with) and your password. Once you have logged in, you will be able to update your details. How do I unsubscribe from GC2018 updates? Log in to your GC2018 Account using your current username (the email address you have registered with) and your password. Once you have logged in, select the “Unsubscribe” tab and un-click any communications that you no longer want to receive. Can I buy a VIP or corporate hospitality package to any of the sessions? Yes, to express interest in receiving further information regarding the GC2018 Corporate Hospitality program, please make an enquiry to hospitality@goldoc.com or call 07 5629 6333 to discuss these opportunities. Are ticket prices the same for Australian and overseas residents? Yes, GC2018 ticket prices are the same for everyone. I’m a resident of Australia, how do I get tickets? All Australian residents can purchase tickets online or via the GC2018 Ticketing Customer Service Centre. Visit gc2018.com/tickets or call the GC2018 Ticketing Customer Service Centre on 1300 21 2018. If calling from outside Australia, dial +61 7 3404 6735. Opening hours are Monday to Friday 9am to 8pm, Saturday, Sunday and Public Holidays 9am to 5pm (AEST). (Please note, call costs will apply). I’m a resident of a Commonwealth nation or territory that is not Australia, how do I get tickets? Some Commonwealth nations or territories have official General Sales Agents (GSA) offering a dedicated sales site for tickets to GC2018. Residents of these countries will be unable to purchase tickets via gc2018.com. Residents of a Commonwealth nation or territory that is not Australia should visit 'How To Buy' for a list of Official GC2018 Ticket Sales Channels in your nation or territory. I’m a resident of a non-Commonwealth country, how do I get tickets? Residents of a non-Commonwealth country can purchase tickets online at gc2018.com/tickets or via the GC2018 Ticketing Customer Service Centre on +61 7 3404 6735. Opening hours are Monday to Friday 9am to 8pm, Saturday, Sunday and Public Holidays 9am to 5pm (AEST). (Please note, call costs will apply). Do I require a visa for entry in Australia? Entry into Australia requires a valid passport, and may require a visa depending on nationality.  Refer to the Australian Government Department of Immigration and Board Protection for the most up to date information before purchasing your tickets. No refunds or exchanges will be offered for spectators that have purchased tickets and do not have all necessary travel documents. Do I need to create a GC2018 account if I already have a My Ticketek account? Yes, all people purchasing tickets for GC2018 will be required to create a specific GC2018 account. Visit GC2018 Account to create your account. I have already created a GC2018 account to receive information, can I use this to purchase tickets? Yes, you can use your existing GC2018 Account to purchase tickets. Can family or friends of athletes purchase tickets?  Specific information regarding the GC2018 Commonwealth Games Athletes Family and Friends’ (AF&F) ticket program is available to Athletes through their Chef de Mission, or at the Village Ticket Box Office. Will all of my tickets for a session be seated together? Tickets purchased in a single order at the same time will be seated together for the relevant session. Can I change my seat or price category if I prefer a different seat location or if a better seat opens up at a later date? All ticket purchases are final. Once purchased, tickets may not be exchanged or returned for refund. Seats are allocated based on the best seat available in the chosen price category at the time of order and cannot be relocated. If my friend and I purchased separately and our seats are not located together, can we change our seats to sit beside each other? Tickets for a sport session or Ceremony that were purchased in separate orders, or at a separate time, will not be assigned together. Seat locations cannot be exchanged for another location. Is it possible to purchase more tickets for a session? Yes, you can purchase additional tickets for a session. Your order should not exceed the stated ticket limit for a session. Any orders exceeding this ticket limit may be partially or fully cancelled as a result. Is it possible to see where my seat is located? Yes, please visit GC2018 How To Buy and download the Venue Seating Plans pdf. This will provide you seating plan information for all of your GC2018 tickets. Will tickets be available for spectators with accessible needs? Accessibility is a key GC2018 sustainability priority with a focus on eliminating barriers (physical or otherwise) to a safe, independent and dignified GC2018. Ticketing for people who have an accessibility requirement will be available across all ticketed GC2018 ceremonies and sessions. Each accessible seat ticket is issued with a complimentary companion seat on a one-to-one basis. There are two types of accessible seating at GC2018. This includes wheelchair spaces and enhanced amenity seating. Enhanced amenity seating might be on an aisle, involve less stairs or have more space around the seating position. What is your accessible seating policy?  Accessible seating is available for persons who have a disability or impairment in accordance with GOLDOC’s Accessible Ticketing Policy available at gc2018.com. Will all GC2018 venues be accessible? All GC2018 venues will be accessible. Services and facilities will be available for people with accessibility needs. How can I get to a venue if I have accessibility requirements? An accessible public transport network will deliver spectators with an accessibility requirement and their companions to the venues. Details of the specific accessible transport methods and routes will be detailed in the lead up to GC2018. Is there a Text Relay Service available to book tickets? For people unable to use voice calls directly, we recommend the use of the National Relay Service to contact the GC2018 Ticketing Customer Service Centre. We provide a dedicated accessibility ticketing line on 1300 21 2018. If I’ve purchased both accessible seating and other seats throughout the venue will they be seated together? All accessible seats will be allocated a companion seat on a one to one basis and these seats will be allocated together. GC2018 will endeavour to accommodate additional seats purchased through the one transaction as close as possible to the accessible seating, however this may not always be possible and is subject to availability. Please call 1300 21 2018 . If calling from outside Australia, please call +61 7 3404 6735. Opening hours are Monday to Friday 9am to 8pm, Saturday, Sunday and Public Holidays 9am to 5pm (AEST). (Please note, call costs will apply). For people who are not able to use voice calls directly, we recommend the use of the National Relay Service. Is the GC2018 Commonwealth Games Ticketing Guide available in alternative format? The GC2018 Ticketing Guide is available at gc2018.com in an accessible format.  The website aims to conform to Level AA of the World Wide Web Consortium’s Web Content Accessibility Guidelines 2.0. If you require an alternate format, please contact GC2018 Ticketing Customer Service Centre. A restricted view ticket allows entrance to a specific session, just like a standard ticket. In the venue, a spectator may have an obstruction of the field of play, while sitting in their seat. This is clearly defined for anyone purchasing restricted view tickets, but still provides a great opportunity to enjoy the GC2018 Games. Why can I only buy Restricted View Tickets? GOLDOC has done everything possible to identify as many additional tickets as possible. Restricted view tickets are available after standard tickets are exhausted. The website clearly defines which tickets are classified as restricted view tickets during the purchase process. Restricted view tickets allow even more people to enjoy the GC2018 Games. How did I end up with a Restricted View Ticket? Restricted view tickets will be made available after standard tickets are gone. Restricted view tickets were not assigned during the Ticket request period. Price categories are an indication of seat locations inside venues. Tickets in price category “A” will provide seating that is generally closer to, or provides a more desirable location by, the field of play when compared to tickets in lower price categories. All price categories will provide a great Games experience however. Price categories will be clearly identified on the competition event schedule as well as online when you go purchase through an Official GC2018 Ticket Sales Channel. We accept all major credit and debit cards (Visa, MasterCard, Diners Club and American Express). We are not able to accept payments by Cheque, PayPal or other payment methods. Will there be any added costs to the advertised price? GC2018 tickets include all ticket fees and credit card fees in the advertised price. You may choose to have tickets delivered in a way that will incur a charge, such as posting them via recorded delivery or to an international address, but there are options for everyone that do not cost anything more than the ticket price we advertise. What do I do if my credit/debit card is lost, stolen or expires, or my personal details change? Simply visit your GC2018 Account and sign in using your current username (the email address you have registered with) and your password. Once you have logged in you, you will be able to update your details. The billing address on my credit/debit card is different from where I live. Can tickets be delivered to a different address? Tickets will only be delivered to the physical address, or email address, of the account holder. We cannot send tickets to a different address. Are children’s tickets available in all price categories? Children’s tickets can be purchased for most price categories, but not all. Children must be between 2 and 16 years of age as at April 2018. For specific details go to gc2018.com/tickets. No. Payment plans or deferred payment options are not available. I don’t have a debit/credit card; how can I book tickets? You must have a debit and/or credit card to purchase tickets online or over the phone. From July 2017, Ticketek agencies within Australia will accept cash for the purchase of GC2018 tickets. I am unable to attend the session; can I get a refund? Refund or exchange of tickets is only applicable if the event is cancelled, rescheduled or relocated and you cannot or do not wish to attend the rescheduled or relocated session. Please see the GC2018 General Ticket Terms and Conditions for further information at gc2018.com/tickets. What does ‘General Admission seating’ mean? If you are buying tickets for a session that has ‘General Admission’ or ‘General Admission by Section’ seating, these venues are operated on a first-come, first-serve basis. When you arrive at a venue you will be directed to available seats or sections by our event staff. What does ‘Reserved seating’ mean? Reserved seating is when a ticket is assigned a specific seat at the venue or location. Seats are typically identified by section, row number/letter and seat. For sessions where you have a reserved seating ticket, you will need to sit in the seat/s assigned to you. We will assign you the best available seat within your chosen price category. Please leave plenty of time when planning your journey to the venues. Please refer to your ticket to confirm the gate opening time for your specific session. I am from a school/community group. Can I make a booking for a large amount of people to attend? Ticket limits have been designed to allow for school/large group bookings to a wide range of sports. If your ticket request is above the ticket limit found at gc2018.com/tickets please send a request to tickets@gc2018.com a with a request for the relevant sessions, and your school/group details. Can I leave and re-enter a session with my ticket? No. Re-entry will not be permitted once a ticket has been used to enter a session. It cannot be used to exit and enter again, including between sessions. Does my ticket confirmation serve as a valid ticket to access a session? No. Access to sessions will only be granted upon presentation of a valid GC2018 ticket. I would like more information on the Ticketing Program, where can I get it? Why not be one of the first to get updates on GC2018 ticketing by signing up to the newsletter at gc2018.com/tickets. Alternatively, we will periodically update gc2018.com/tickets from time-to-time. Want to chat? Our GC2018 Ticketing Customer Service Centre is available and can be contacted on 1300 21 2018 from within Australia and +61 7 3404 6735 from outside Australia. For accessibility ticketing enquires and bookings please call our dedicated team on 1300 21 2018 or +61 7 3404 6735 from outside Australia. (Please note, call costs will apply). Opening hours are Monday to Friday 9am to 8pm, Saturday, Sunday and Public Holidays 9am to 5pm (AEST). Spectator Venue Guides by venue will be available on-line gc2018.com as of 5 February 2018. Make sure you have reviewed the Ticket Terms and Conditions at gc2018.com/tickets, as they outline the processes and limitations in place. I have booked my ticket, how do I go about booking accommodation? As one of Australia’s premier holiday destinations and a city renowned for its thriving tourism industry, the Gold Coast has an abundance of accommodation options to choose from. Spectators planning their experience can explore hundreds of different accommodation options designed to suit all tastes and budges. For more information regarding accommodation availability in proximity to venues, visit gc2018.com/accommodation. Start your search and work out your best accommodation option. With GC2018 events being held right across the Gold Coast, go beyond the obvious holiday suburbs and uncover other areas that might suit your experience better. There are accommodation options across the city and surrounds, with many close to venues and transport options. Consider all accommodation options, from hotels, motels, apartments private rentals and camping, caravan and holiday parks. Many accommodation providers may require a minimum length stay during the peak period. It is recommended travellers search for at least a five (5) night stay.